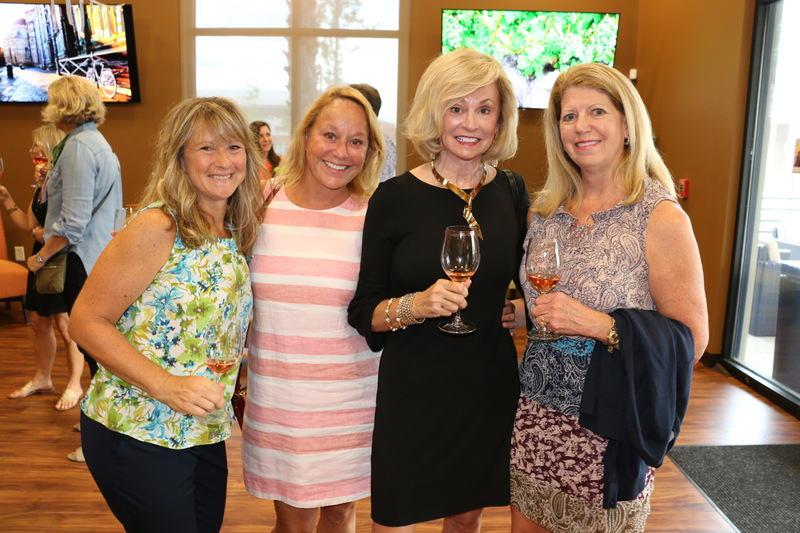 Debbie O’Brien, Diana Roller, Diana Bell and Lindy Morgan. 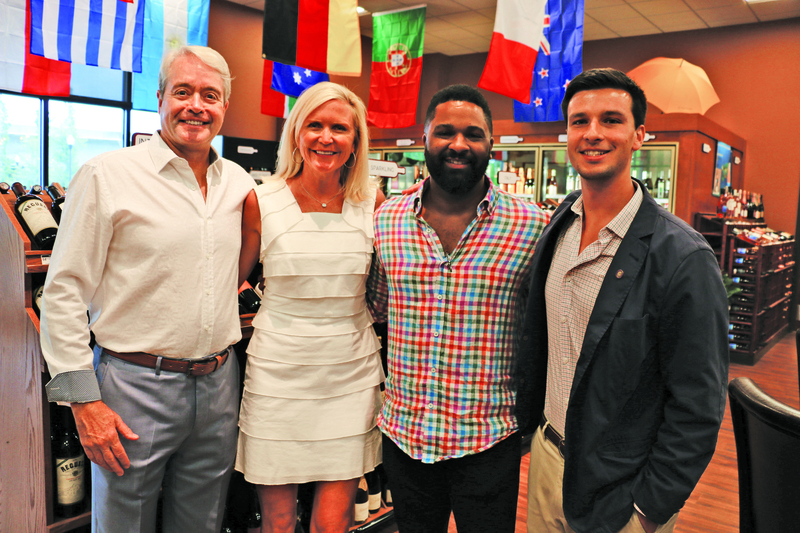 Bin 526 owner Mike White poses with his wife, Alice White; acclaimed sommelier DLynn Proctor; and Jack Kauffman, Bin 526 wine director. 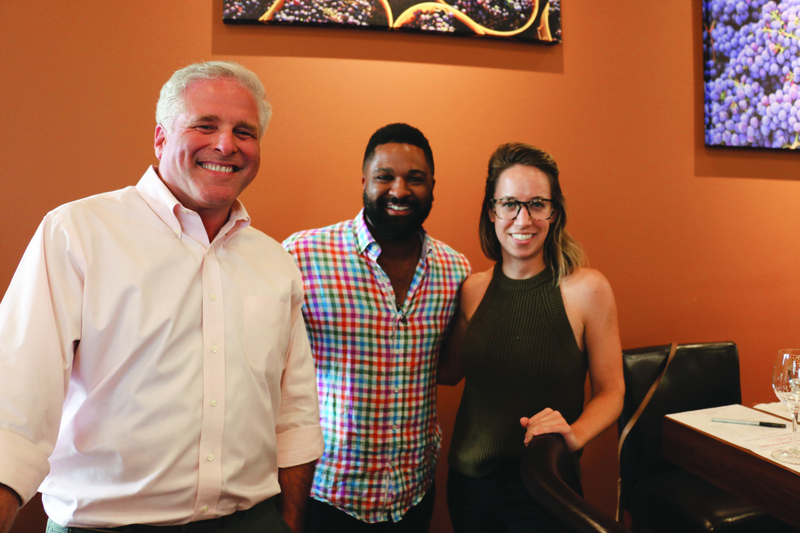 Glenn Starkman (left) and Riley Csernica (right) pose with featured presenter DLynn Proctor, who was named “Best Sommelier in America” by Wine and Spirits Magazine in 2008. Proctor is director of Fantesca Estate & Winery in the Napa Valley. 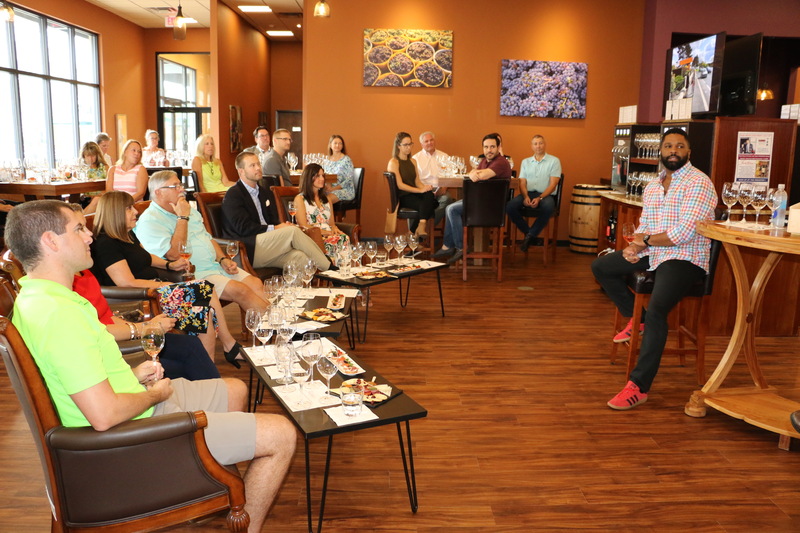 Guests at the sold-out Bin 526 “Movie Night” listen attentively as DLynn Proctor speaks about his journey as a sommelier. 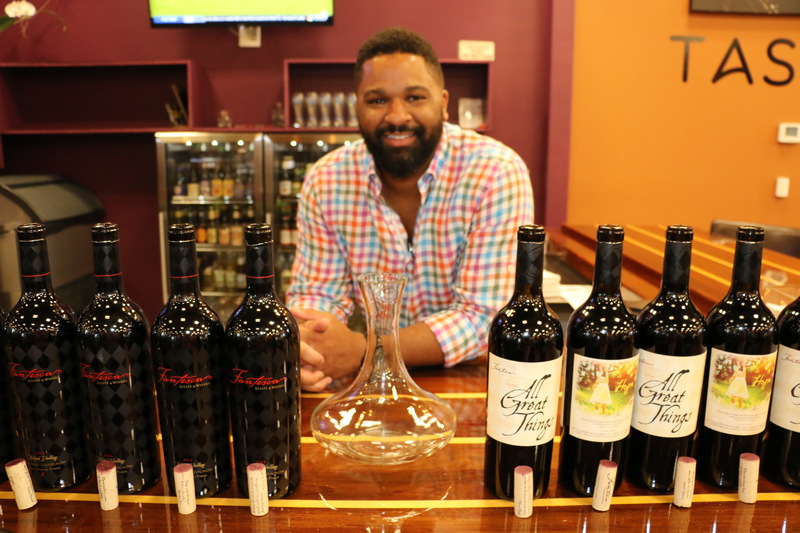 DLynn Proctor educated guests at the Bin 526 “Movie Night” on July 30 about some of the wines offered by Fantesca Estate & Winery. The stars aligned for Daniel Island-based Bin 526 on July 30 – at least one star in particular. Master Sommelier and Director of Napa Valley’s Fantesca Estate & Winery DLynn Proctor, a featured subject in the 2012 acclaimed documentary “SOMM,” was the main attraction at Bin 526’s sold-out “Movie Night.” The event included wine insights by Proctor and tastings of several Fantesca selections.